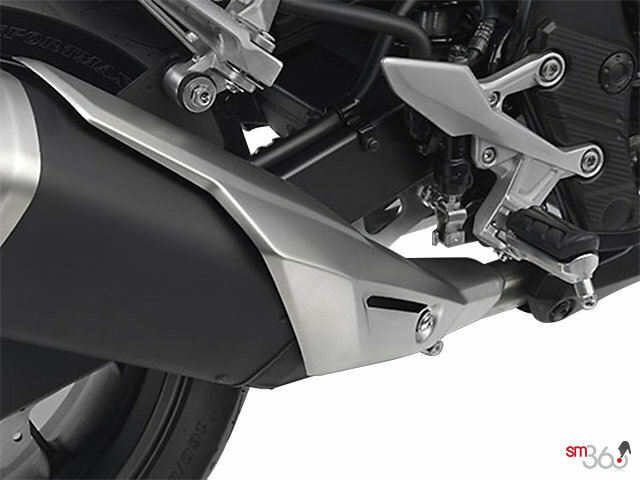 The rear section of the frame was designed to facilitate a seat height of 785 mm, which allows most riders to easily plant their feet on the ground when stopped. A dual-piston brake caliper up front and a single-piston caliper at the back provide strong but easily controlled stopping power. 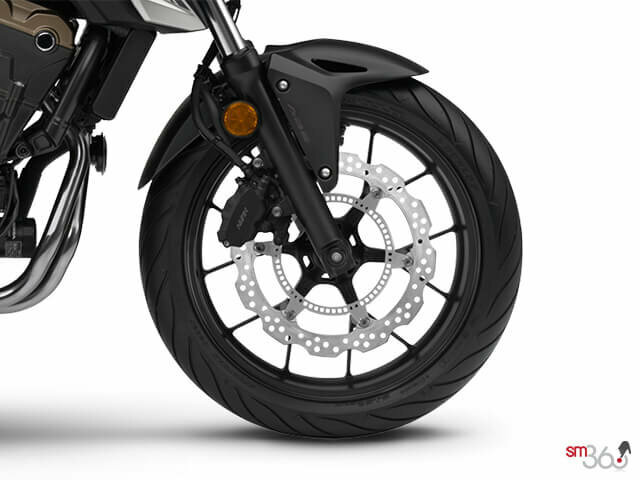 Plus, ABS gives you extra peace of mind on reduced-traction road surfaces. 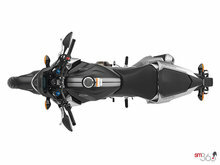 The 67 mm bore size is the same as used on the CBR600RR. 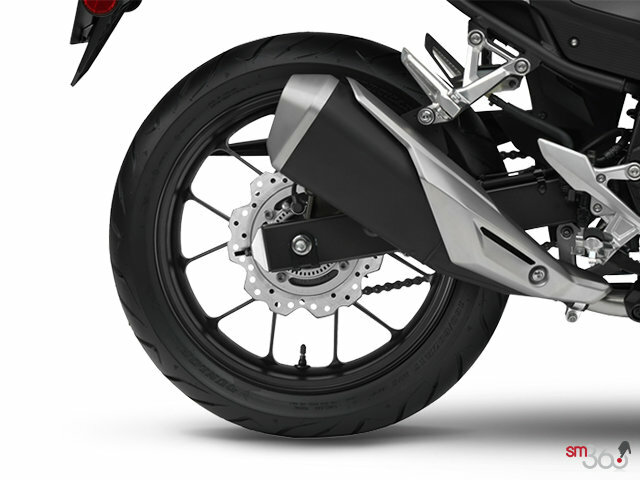 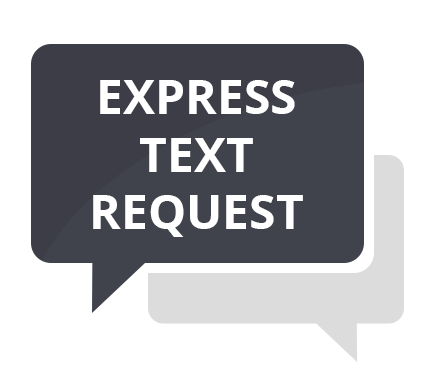 Engine vibration is kept to a minimum by using crank pins phased at 180 degrees and a balancer shaftbehind the cylinders, which also contributes to the engine’s compact size. 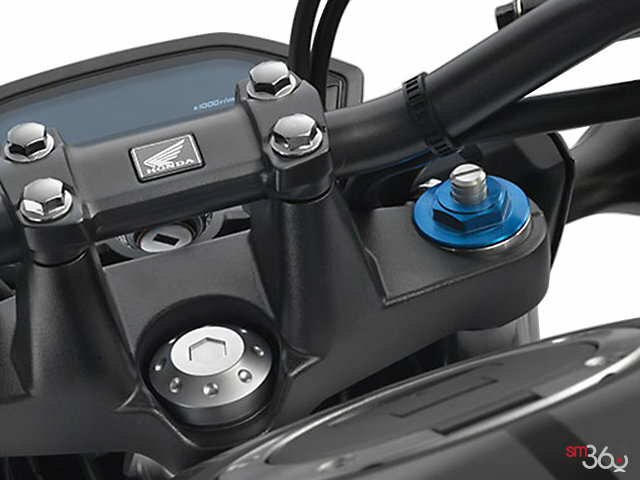 A light and compact roller-rocker-arm assembly and shim-type valve adjustment allows a lower valve-spring load for reduced friction and a compact cylinder head. 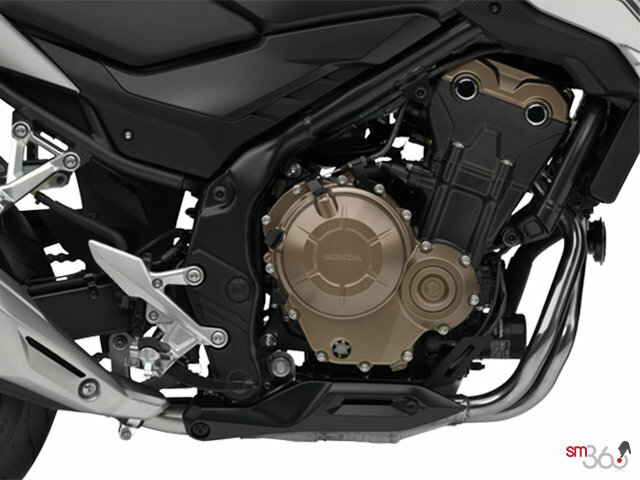 The oil pump’s internal relief structure uses the same design as found in the CBR1000RR, which reduces friction, improves aeration performance and simplifies the shape of the oil pan. 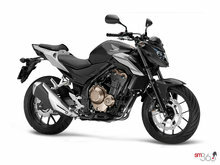 The internal structure of the CB500F's muffler helps produce an authoritative exhaust note and improves the bike’s mass centralization. The pins in the silent cam chain have been treated with vanadium, which both reduces friction and improves durability. 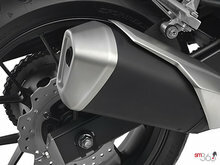 Lightweight pistons use an advanced manufacturing process for enhanced durability and performance. 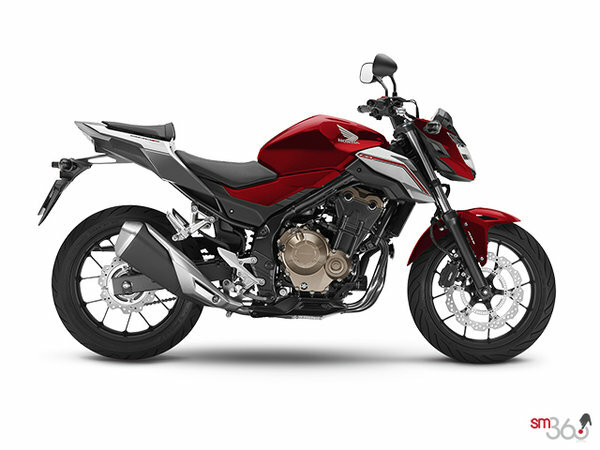 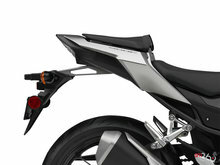 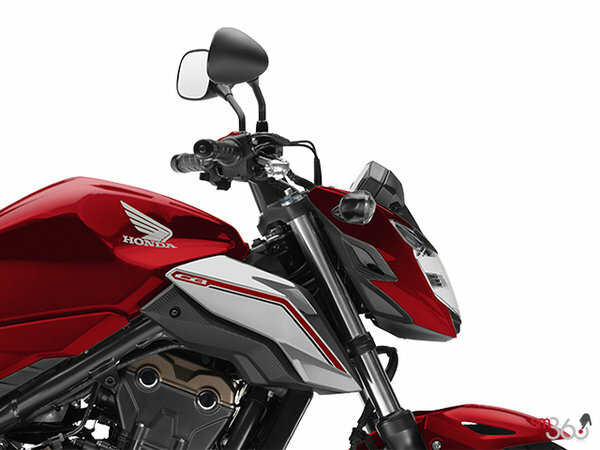 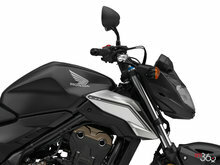 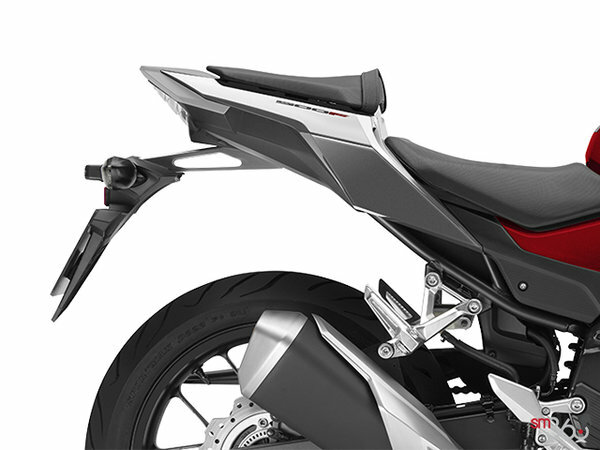 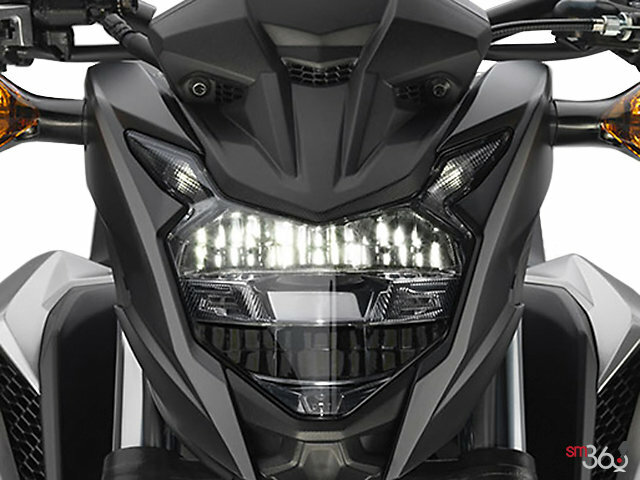 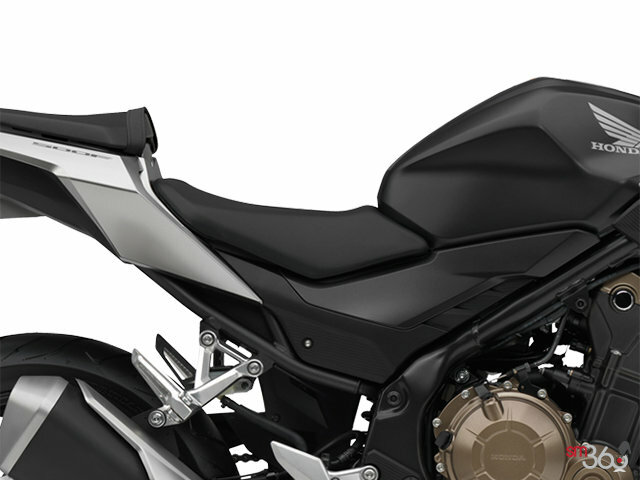 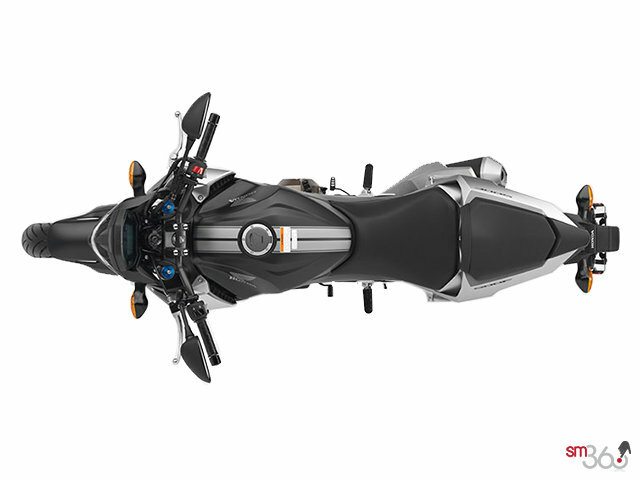 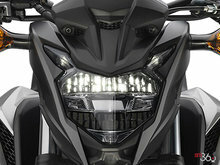 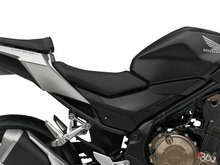 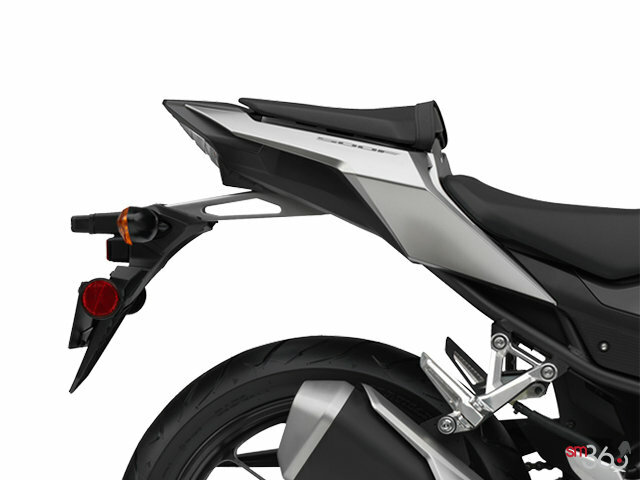 The CB500F’s compact handlebar-mounted wind deflector contributes to its bold “naked” styling, which leaves the beautifully crafted engine out in full view. 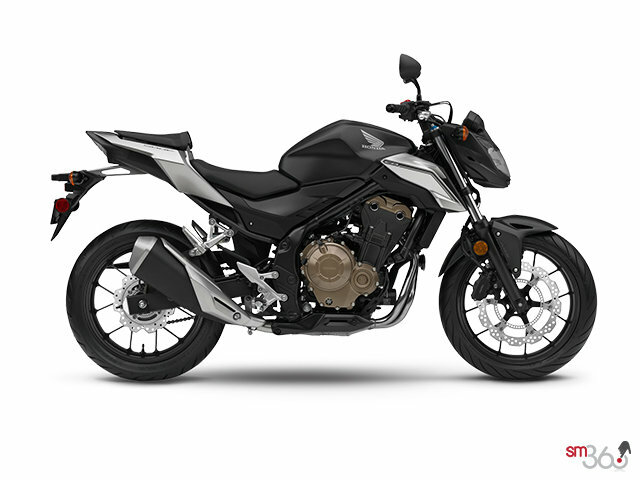 The CB500F boasts a large fuel tank, which combined with the fuel-efficient engine, means excellent range for plenty of riding fun between fill-ups. 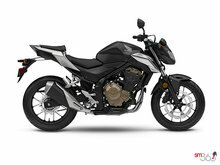 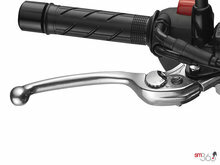 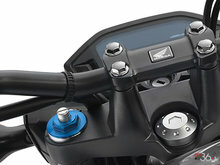 Adjustable brake lever and wave-style ignition key add to the CB500F’s long list of premium features.